You can now page through all your Git repos while adding an app to Seed. Previously, we limited the number of repos that were displayed. This was a problem for folks that have hundreds of repos that they are a part of on GitHub. By allowing you to page through your repos you can now add any of your projects to Seed regardless of how many repos you have. 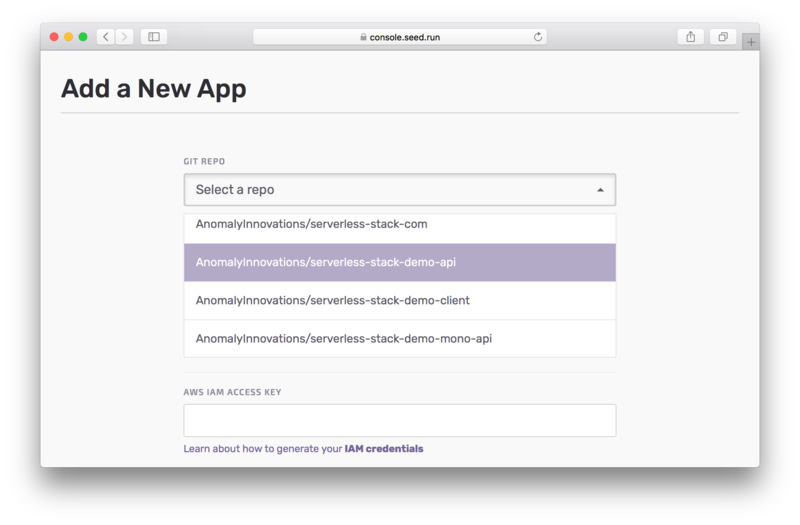 This ensures that you can simply drop in your Serverless project and Seed will handle your Git based deployments.